The Bulk 30 Pack consists of 30 x BBC micro:bit, 30 USB Cable, 30 x Battery Cage and 60 x AAA Batteries. The Bulk 50 Pack consists of 50 x BBC micro:bit, 50 x USB Cable, 50 x Battery Cage and 100 x AAA Batteries. Besides coding on computers, you can also code the BBC micro:bit on mobile devices. Click links below to down the apps. 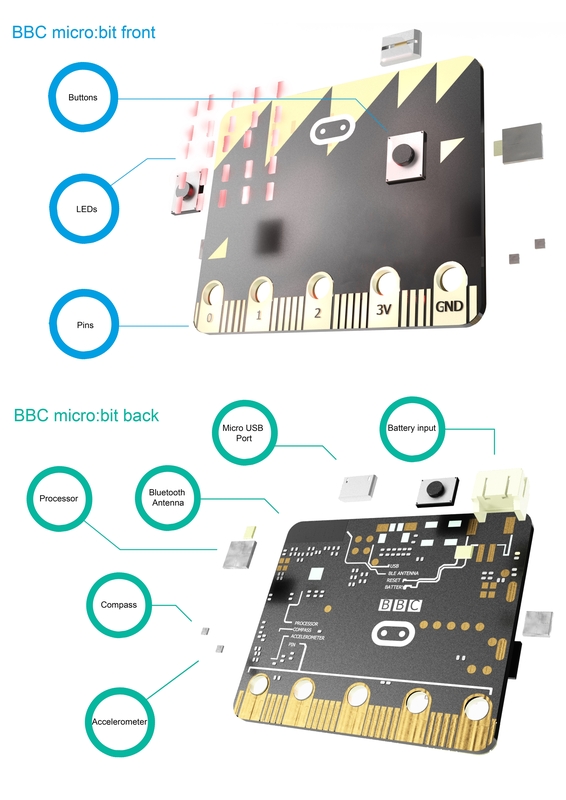 The micro:bit mobile app lets you send code to your micro:bit using Bluetooth wireless technology. No connecting leads needed! Just make sure that your micro:bit is powered up and within easy reach of the phone or tablet running the app. full details here on https://www.microbit.co.uk/mobile for video and tutorials.